Our series of stories on the numbers used by drivers in the V8 Supercars Championship brings us today to a number with a wide ranging history in both the championship and at the Bathurst 1000. Rick Kelly is the current custodian of the #15 and is in his 12th season with it to make him the longest #15 driver in the history of the Australian Touring Car Championship/V8SC. In fact between he and brother Todd the Kellys have had it for more than 15 years after it had been used with great success by two of the power teams of Aussie tin top racing - Gibson Motorsport and the Holden Racing Team. Thesedays Rick Kelly drives the #15 Jack Daniel's Nissan Altima, but it's memories of the turbo Bluebirds of the early to mid 1980s that come flooding back when we rewind through Nissan heritage and that number. George Fury carried the #15 on his works Bluebird in 1983 and 1984 after the Japanese car was moved up into the outright class and no longer was forced to use the higher numbers (55, 56 etc) that the smaller class cars had to run. It was with the #15 that Fury set that memorable 2m13.85s pole position lap at Bathurst, recording the first pole there for both a turbo car and a Japanese machine. 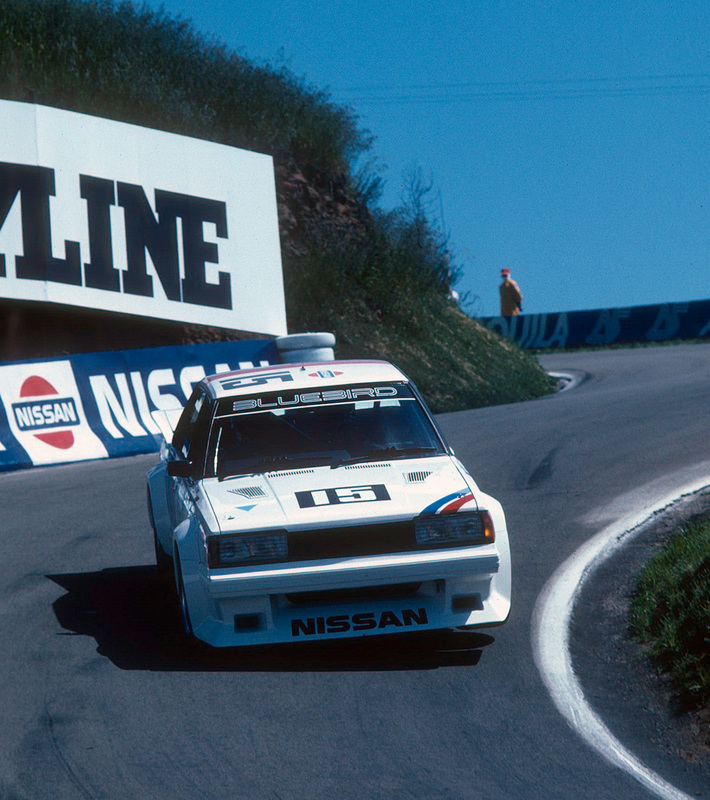 The number sat idle in 1985 as Nissan sat out the season before returning with the DR30 turbo Skyline under Group A rules in 1986 with #15 also making a return. Glenn Seton drove #15 in some rounds in 1986 with Gary Scott driving in the other rounds before Seton made it his own in 1987 - the year he won his first ATCC race at Calder and went on to finish second to Jim Richards in the title. 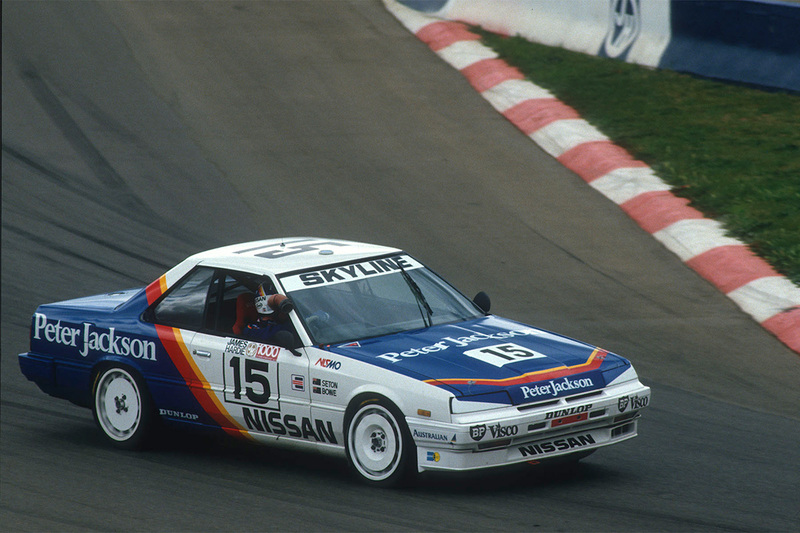 The Peter Jackson-backed Nissan team kept the number in 1988 on their new GTS-R Skyline but parked it from full-time use in 1989. Another Japanese manufacturer - Toyota - grabbed it in 1990 for use on its new Supra Turbo with John Smith driving, however the team was disbanded at the end of the year after a successful seven-year stretch, mainly in the small capacity class. The #15 re-appeared with the Holden Racing Team in late 1992 when the works team ran two cars in the endurance races at Sandown and Bathurst. They already had #16, so #15 seemed the most logical number to add. Tomas Mezera instantly became recognizable with #15, carrying it in those endurance races and then again in 1993 in his first full-time championship tilt. It morphed into '015' for 1994 and 1995 given HRT was sponsored by Telecom MobileNet and '015' was a mobile phone prefix in Australia at the time! Mezera drove 015 for two more seasons but was replaced for 1996 by the young star that had raced under that number in the endurance races the previous two years - Craig Lowndes. 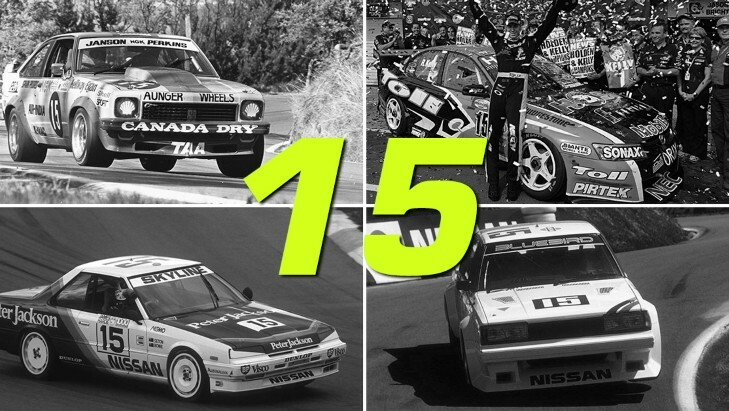 Lowndes instantly took #15 to its first Australian Touring Car Championship win that season after a debut round win at Eastern Creek and promptly departed for Europe, meaning his replacement Greg Murphy ran #15 again with the champion's #1 parked in Lowndes' absence. 'The Kid' returned in 1998 to take back over the #15 and promptly took it to its second ATCC crown in two years - the last year before the endurance races were included in the championship. Lowndes ran the champion's #1 in 1999, opening #15 to be used by the Young Lions off-shoot team of HRT being run from the same business park in the Melbourne suburb of Clayton. A very young Todd Kelly didn't have much luck with it, having a huge crash at turn one at Eastern Creek that severely damaged his Commodore - one of the same cars Lowndes had used with the #15 in his 1996 title win. The number made a return later in the year on a HRT car at Symmons Plains, where Cameron McConville filled in for an injured Lowndes after his huge Calder roll-over. Kelly stuck with #15 for 2000 as his HYL entry moved into a newer VT Commodore before the HYL operation morphed into the Kmart Racing team. Todd ran with #15 in 2001 (where he claimed a maiden round win in the wet at Sandown in the season finale) and again in 2002 before heading to HRT and promptly being replaced by brother Rick in 2003. It was during this year that Tom Walkinshaw Racing collapsed overseas and control of the Kmart Racing team and its franchises (now known as RECs, 'Racing Entitlements Contracts') was taken over by Rick and Todd's parents, John and Margaret, and their Motorsport Holdings Pty Ltd company. The #15 became Rick's regular car for 2003 and 2004, however at Bathurst in '04 he and Greg Murphy used Rick's regular chassis, meaning they won their second straight Great Race with #15 rather than Murphy's #51 they had used 12 months earlier. 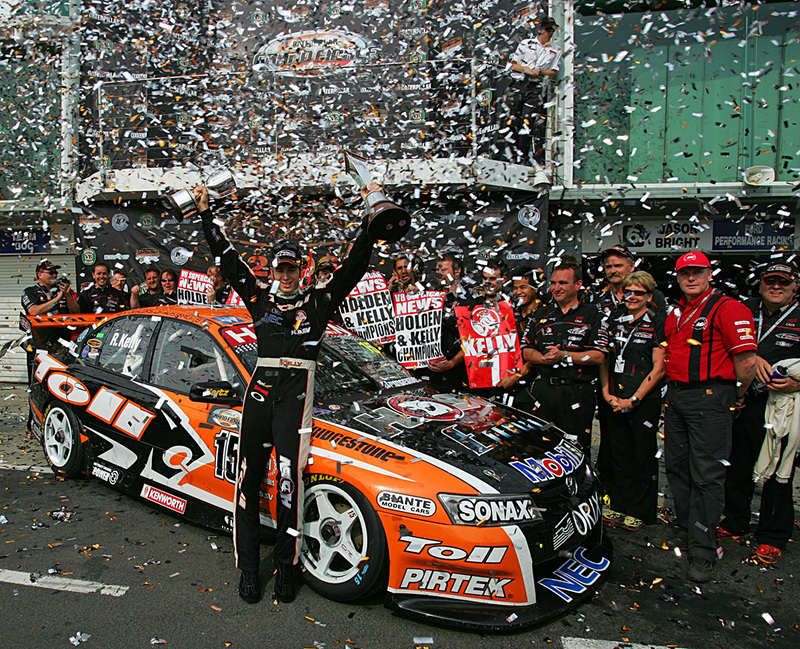 The team morphed into the HSV Dealer Team in 2005 and Kelly stuck with #15, using it again in 2006 in his championship-winning year when Toll became sponsor. Kelly ran under the champion's #1 in 2007 and returned to #15 in 2008 for what was his final year connected to the TWR/WR/Walkinshaw organisation given the Kellys left to start their own team - using their own RECs including the one using the #15 - for 2009. 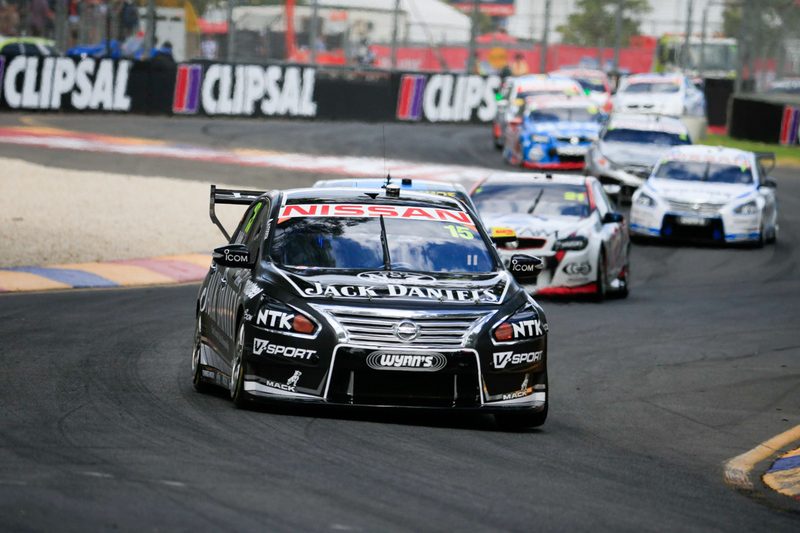 Since then Rick has been a constant in the #15 entry in Jack Daniel's black, racing Commodores from 2009 to 2012 and Nissan Altimas from 2013 onwards. At Bathurst it's had its fair share of success but #15 has only claimed two wins - the 'Spiderman' Kmart Commodore of 2004 with Rick Kelly and Greg Murphy and way back in the 1964 Armstrong 500 with Bob Jane and George Reynolds. Rick and Todd were runners-up in 2006 with Toll HSVDT with #15, Todd and Murphy were third in 2001 and Todd and Nathan Pretty fifth in 2000. #15 was on pole in 1986 with Gary Scott for Nissan and finished third (Terry Shiel as co-driver) before finishing second in 1987 with Seton and John Bowe. The late Doug Chivas was third in 1972 in the #15 Charger while Tony Roberts and Bob Watson's #15 Monaro ran third in 1968. A #15 was the runner-up in the first Bathurst enduro in 1963 - Fred Morgan and Ralph Sach finishing second in a Holden EH S4. Some big names used #15 at Bathurst in the 1970s too - no less than Larry Perkins and Jim Richards. 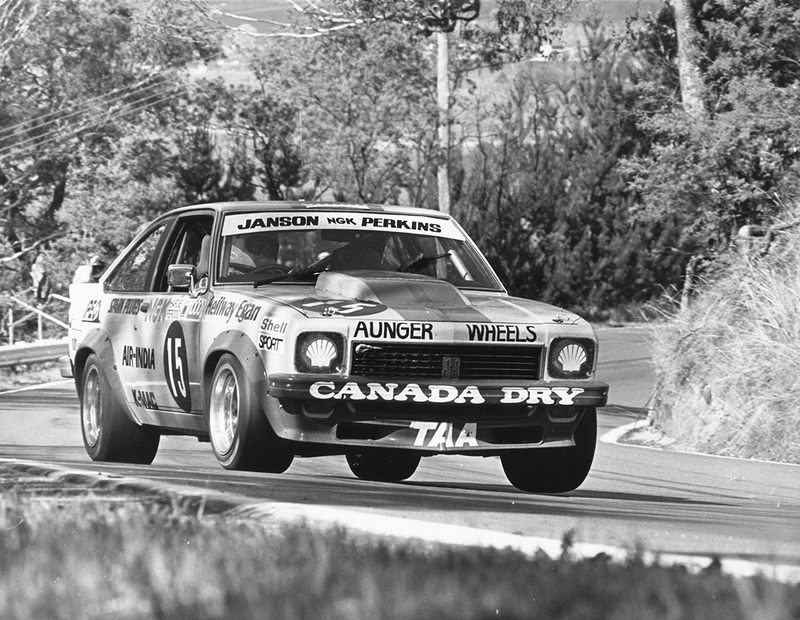 Perkins made his Bathurst debut with it in 1977 alongside Peter Janson in an A9X Torana and finished third while Richards used it in 1975 and finished eighth with the late Kiwi Rod Coppins in an L34 Torana. No matter which way you look at it, #15 sure has had plenty of amazing history throughout the ATCC, V8SC and Bathurst. The #15 was on the grid for the first Australian Touring Car Championship race in 1960 at Gnoo-Blas in Orange with Ralph Sach driving a Holden 48-215 - but #15 didn't claim an ATCC race win until George Fury won for the Nissan works team in his Bluebird at Lakeside in 1984. The #15 has claimed 52 race wins in ATCC/V8SC, the last by Rick Kelly at Sandown in 2011. Craig Lowndes has the most wins in #15 with 30 followed by Rick (9), Greg Murphy (7), Todd Kelly and Glenn Seton (3) and George Fury (1). Murphy and Kelly shared a win at Bathurst in 2004. 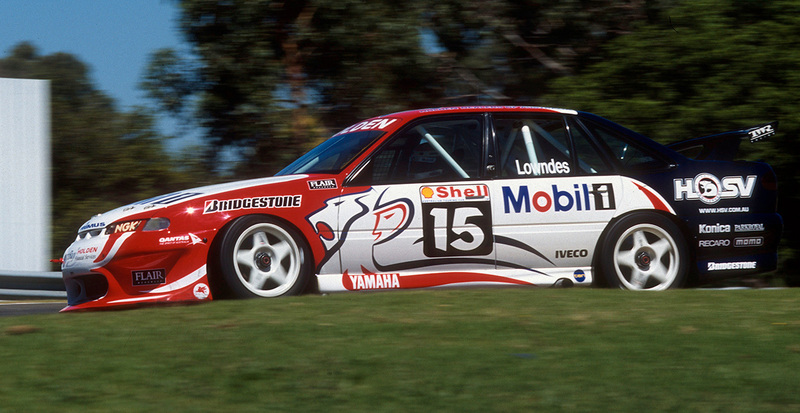 The last season that the #15 wasn't used in the ATCC/V8SC (excluding 015 used by HRT in 1994/1995) was back in 1991.